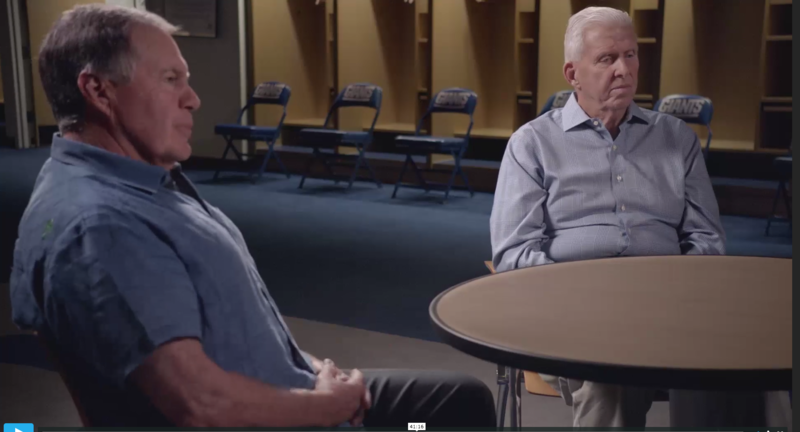 NFL Films delivers yet again with a 30 for 30, but could have drilled deeper on this subject. Length: 77 minutes without commercials, 90 minutes with. Watching a NFL Films 30 for 30 (all three of which have been manned by Rodgers) is like a dinner at the Cheesecake Factory. It’s nice, you’ll eat a lot, you’ll have a drink, definitely get dessert, and it will be a good time, but there really aren’t any surprises or unique experiences that will stick out. It’s basically a high-end formulaic quality experience. That’s not meant to be a slight. It’s just that there are no real surprises and essentially your high expectation of these projects are reliably met, but rarely exceeded by any significant margin. 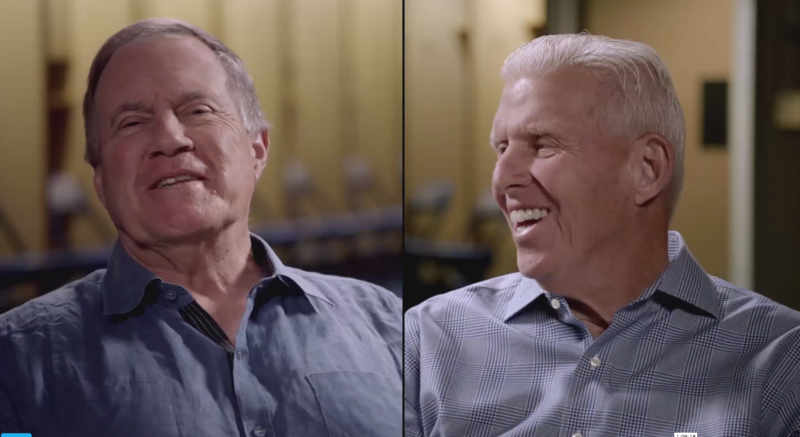 The Two Bills delivers all of the staples of a NFL Films piece with tremendous use of cinematic highlights, a great soundtrack, and unrivaled access to former coaches and players. 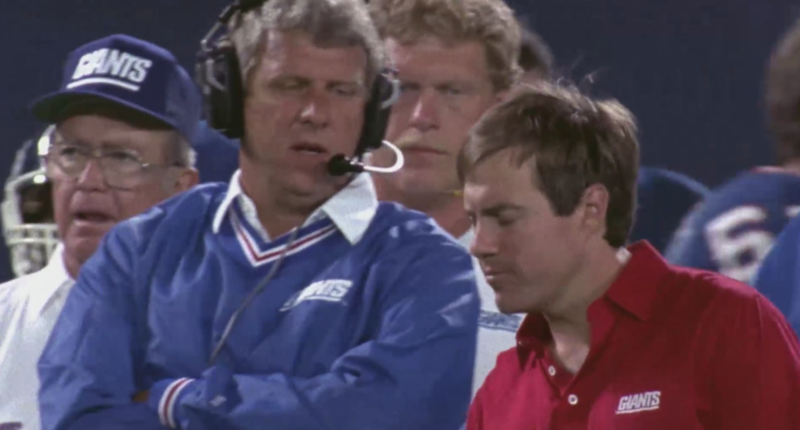 It should be noted that both Parcells and Belichick have been featured in NFL Films’ A Football Life and like many other players and coaches, there is a relationship and an implicit trust that NFL Films won’t wander too far down a dark alley. NFL Films (an NFL-owned property) doesn’t really aim to rewrite history or avoid certain subjects, but often you can see them gracefully frame certain sticky narratives or at the very least choose to not drill down on sensitive topics. There are a few times where you’d like to see The Two Bills go a bit deeper but I think, all in all, Rodgers and company did their best given the personalities involved. Let’s be real here: This project included the participation of a NFL owner, two prickly NFL personalities in Parcells and Belichick, along with a lot of their mutual friends and former colleagues — all of whom are commenting on one of the most bizarre working collaborations the league has seen. For me, the subject matter delivered big-time. About half of the documentary focuses on a period of time during which I was too young to really tune into sports (and thus is an era I really love documentaries covering, as it helps add a bit more of insight to the things I do remember growing up). For me, there was a good mix of “Oh, I didn’t know that. Crazy!” with “Oh yeah, I kind of remember that. What exactly was the deal there again?” Regardless of which of the two buckets this content fell into, The Two Bills is consistently interesting and engaging all the way through. 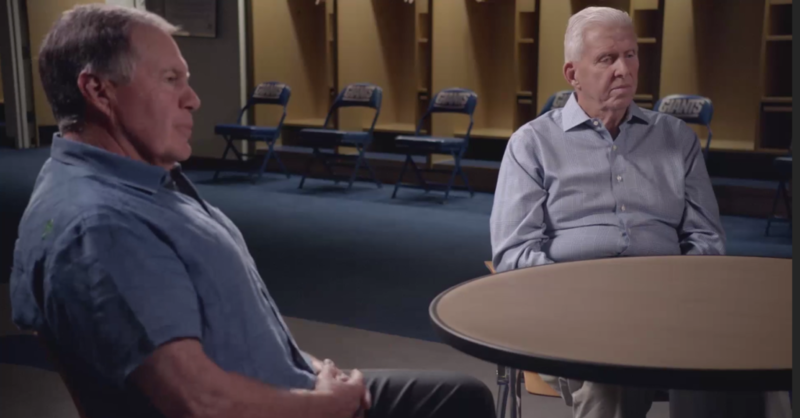 It was an interesting decision by Rodgers to tape what I could tell were the only interviews with Parcells and Belichick together (meaning no individual interview was taped). Both individuals had warm moments and telling comments, but you could tell they were a bit more guarded at times talking about each other and various forks in the road, knowing the other was mere feet away. There is a telling moment when one of the cameras malfunction and Belichick starts into some small talk with Parcells (about upcoming weddings), to which Parcells seems uninterested in and remains silent. It’s tough to tell just how much things have thawed between the two at times. You get the feeling that both men have come to terms with how things unfolded since their parting with the New York Jets, but Belichick is perhaps a bit more comfortable about it than Parcells, who seemed less enthused and forthcoming during the stickier parts of The Two Bills. The men share some laughs and the retelling of them reconnecting after years of not talking, in particular, is comical as they and peacemaker Scott Pioli retell a golf outing that put an end to a dicey span during which there was growing tension between the pair. It’s a highlight of the documentary, as I think most can personally relate or know people in their lives who stubbornly engaged in a lengthy social stalemate rather than having one much needed tough conversation. Viewers will be left wondering, what would have happened if Pioli didn’t broker their reconnecting and more so, what if he tucked in his shirt on the day that they did? A few small gripes is that the film somewhat glosses over the particulars of some of the trades pertaining to the two Bills moving between the Patriots and Jets, and doesn’t really drill down into some of the specifics of the mechanics and politics responsible for these controversial moves. We’re basically relying on a few people’s recollections when there were additional insights and narratives that are well known. Viewers are given some insight into how these moves materialized behind the scenes, but it’s just a taste and feels like a tease. Ultimately, this is a well-executed film about subject matter and particularly relationships that were compelling and complex. The 90-minute run time was the right call for this project and with the Patriots in the Super Bowl, I have no doubt this will score well in terms of a rating and with viewers. My ranking is a little bit tainted by the fact that I’m so used to the formulaic approach of NFL Films and at times I’d like to see them at times go in a grittier direction than the NFL likely is comfortable with. That said, this was a great story that I’m not sure any other filmmaker or studio would be able to tell because of lack of trust with the participants. We’re probably only getting 85 percent of the full story, but that 85 percent is told at a very high level. NFL Films rarely swings and misses, and thus is the case with this film. It hits the spot like a slice of cheesecake after a hearty meal.